The 8/12/11 issue of Retail Experience in the News... recapping the latest articles and links shared on Twitter with the #retailexp hashtag this past week is ready for you! Very cool! Lord &amp; Taylor makes the #retailexp green! http://ow.ly/5WXec What are you doing? Integrating the ipad into the #retailexp: http://ow.ly/5WXCv What examples have you come across? 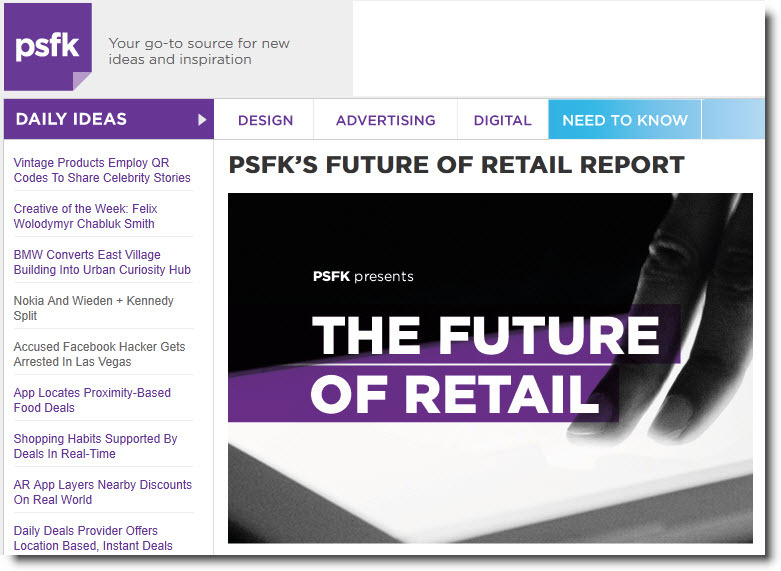 Have you see PSFK's Future of Retail Report 2011? It details the evolving retail experience and offers ideas you should be considering. I find the retail experience fascinating: it's the closest we can get to observing a marketplace in action. The retail environment allows us - regardless of the industries we work in - to experience firsthand customer transactions and interactions, witness successes and failures and watch technology evolve as it integrates the online experience with in-store. The result is valuable business lessons applicable to both B2C and B2B environments. PSFK tracks trends and innovation around the world. It produces reports on the future of several categories [including the future of health] and a daily newsletter that is worth subscribing to. Subscribers, click on this link: PSFK Future Of Retail Report 2011 [Preview] to experience the full preview report. I'd love to hear your reactions. Which trends do you see being most successful in your retail environment? Which apps do you find most relevant to your retail category? Which seem more useful to you as a consumer? Here is the 8/5/11 issue of Retail Experience in the News... recapping the latest articles and links shared on Twitter with the #retailexp hashtag this past week. How boutiques pamper top customers: http://ow.ly/5RfDk Fabulous #retailexp focused on customers ~"hug your customers"
Matt Selbie is founder and president of Oberon3, a customer feedback firm located in Portland, Oregon. You may remember him from Meet Opiniator's Matt Selbie and The Opiniator 6 Laws of Customer Feedback. 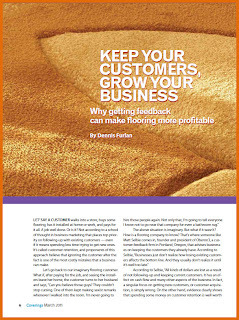 Cynthia Dean is general manager of from Canada Nufloors in Coquitlam, BC. 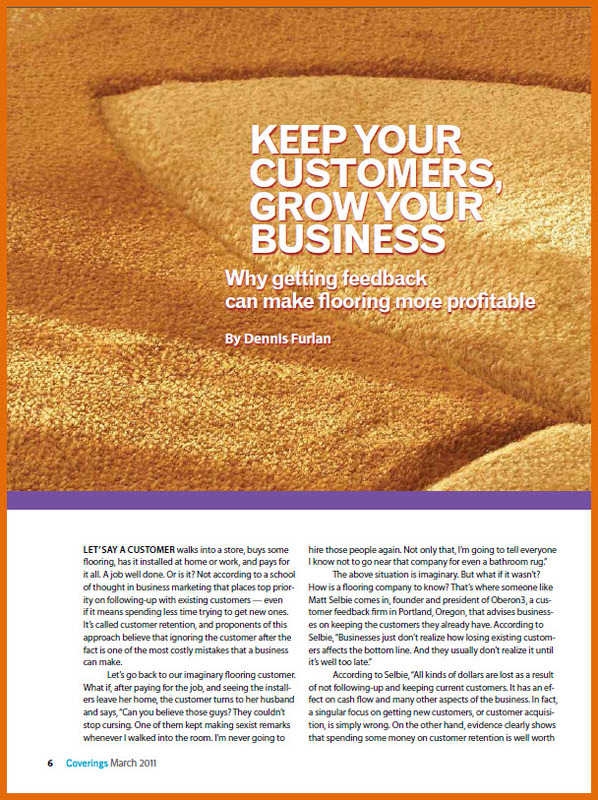 She shared some of her wisdom in this post titled Connecting With Customers: Nufloors Advice. The article makes several points worth paying attention to. 1. 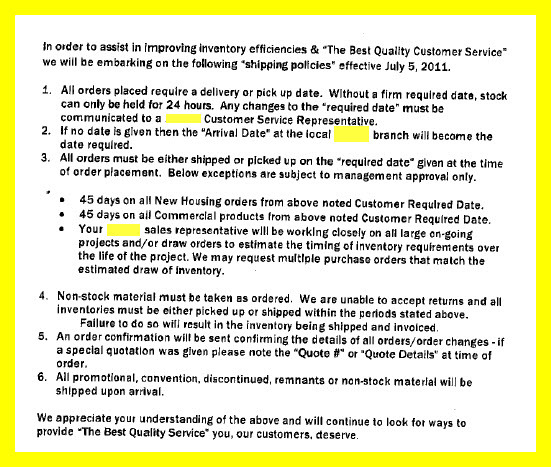 "Ignoring the customer after the fact is one of the most costly mistakes that a business can make." 2. Asking about a customer's experience in your store, with sales representatives and with installation helps you identify what problems she might have had, address them and make the customer feel that you are listening to her. 3. Be sure to "ask questions that will give you honest feedback from your customers" rather than "answers you want to hear". 4. 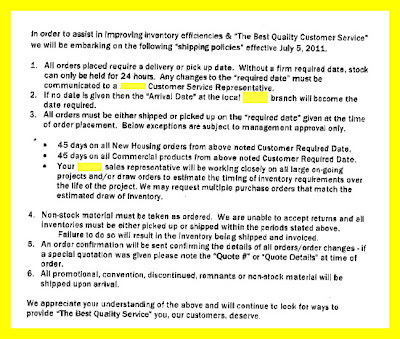 "Companies have to be able to act on the results of the surveys." In other words, make sure you do something about what you hear from your customers. 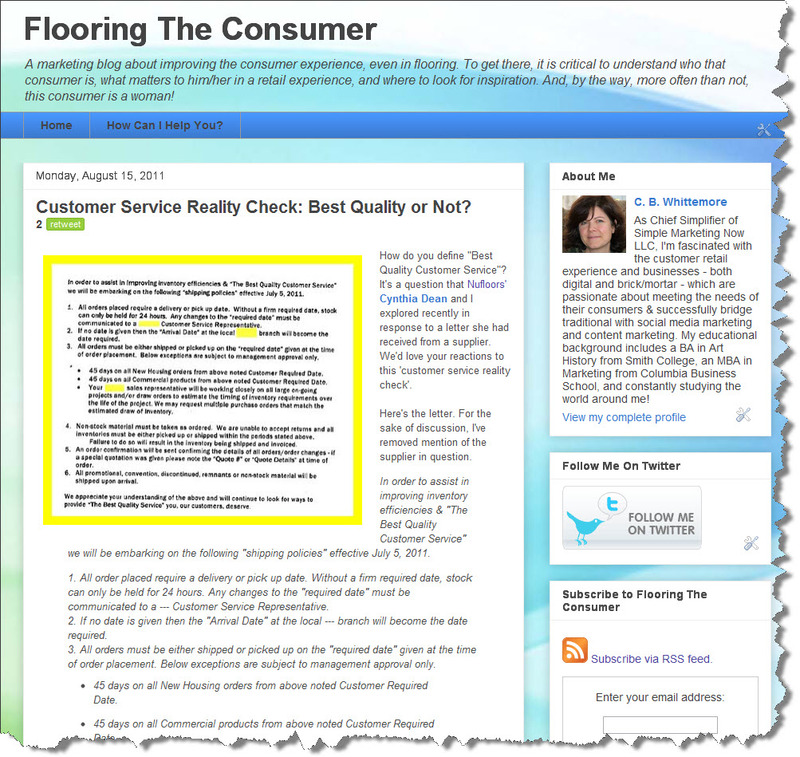 By the way, if you interact with complaining customers, be sure to absorb Guy Winch's wisdom from this post titled How To Build WOM From Complaining Customers - MarketingProfs B2B Forum 2011! 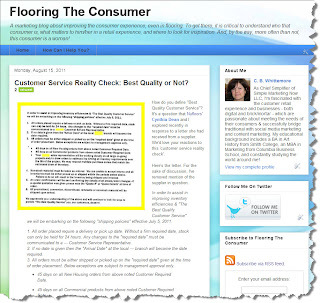 Do you survey your customers? What have you learned? What have you implemented? How have you taken what your learned to transform your organization? I'd love to hear in the comments.